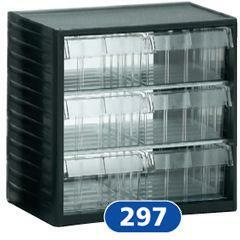 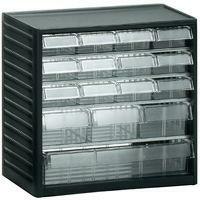 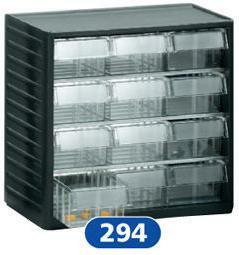 Robust grey polypropylene cases with clear drawers. 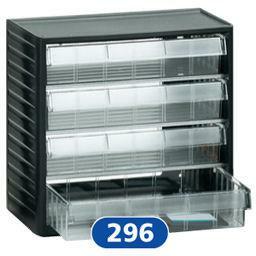 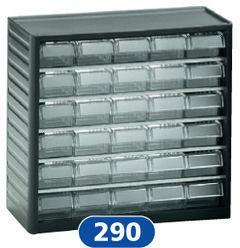 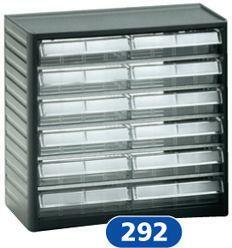 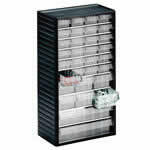 The 290 series visible storage cabinet is an invaluable solution for any cluttered workstation. It allows for the efficient packing away of many small, easy to lose, everyday objects, whenever they are not immediately needed. 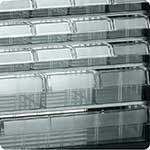 The clear polystyrene drawers allow for easy retrieval, with enough labels provided to clearly mark the contents of each compartment. 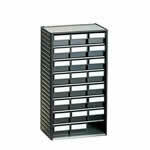 The shelves are made from galvanised steel, to prevent rusting, and the entire unit can be hung on a wall to save surface space. 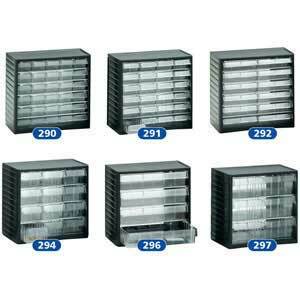 It is also possible to safely position the unit on a flat worktop, or pack multiple cabinets neatly into a Benchtop Spacemiser. 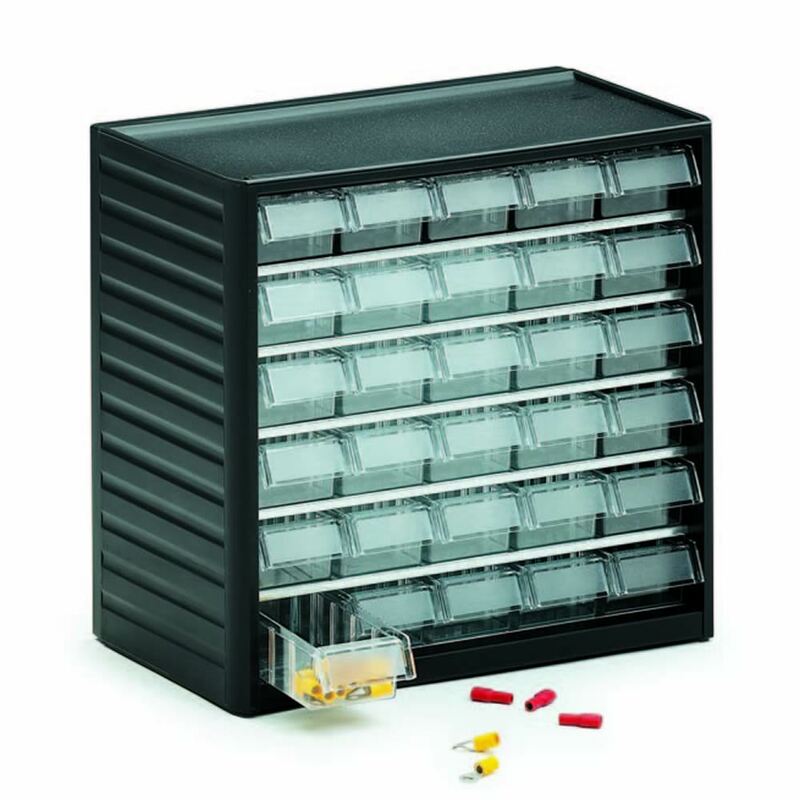 Furthermore you can tailor the storage to your specific requirements by using the specially designed optional drawer dividers. 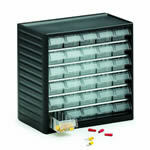 These can either be placed across the drawer or along its length. 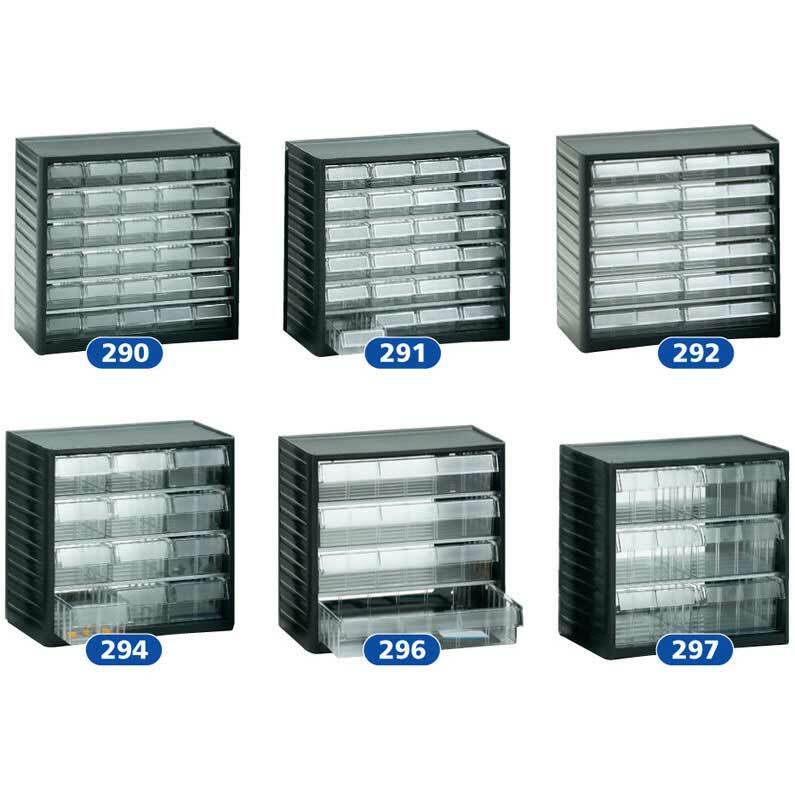 The cabinets measure H290 x W310 x D180mm, each offering a different arrangement of drawer spaces to meet varying needs; all measurements are in mm and refer to drawer size. 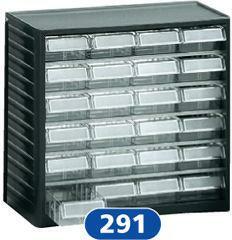 292 - having measured what I required this for, this item is spot on. 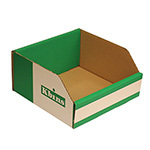 - Excellent product, delivered very fast.